It enhances maturity of stem and branches and promotes fruiting and flowering. 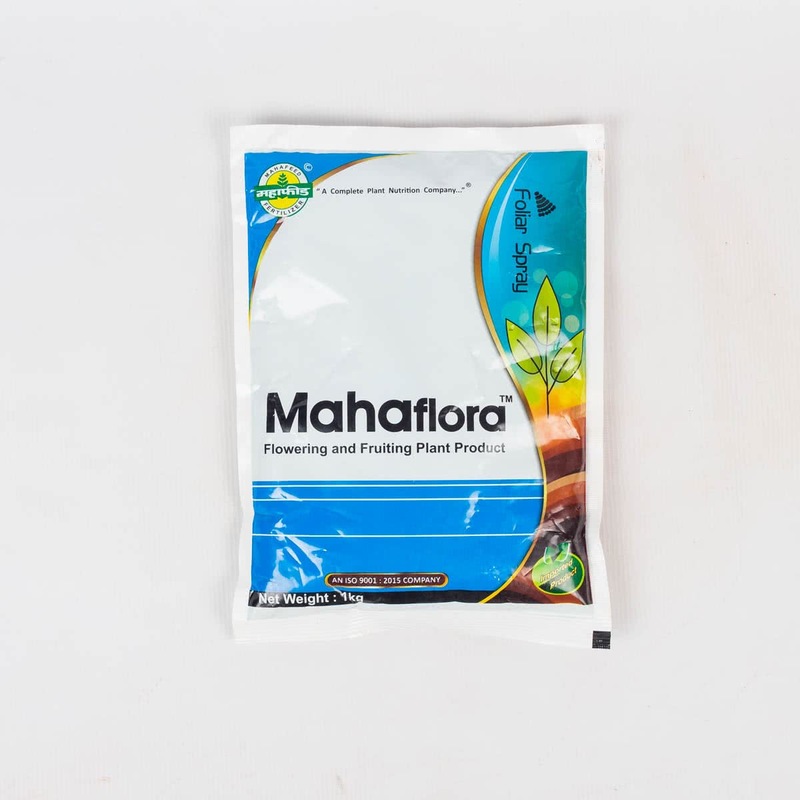 It induces profuse buds and flowers formation and development of young fruits. Not only this it also maintains uniformity of new fruits and reduces the risk of cracking the fruits during harvest, transport, and storage. Apply 3 to 4 sprays at 7 - 10 days interval in following quantity First Spraying : 500 gm/100 ltr, Second Spraying : 650 gm/100 ltr, Third Spraying : 750 gm/100 ltr, Fourth Spraying : 1000 gm/ 100 ltr.